I received a note from Michael Touma, Managing Director of BBX in Hornsby, Australia, regarding our story last week on the availability of automobile fuel in Australia. Just read your latest Tuesday Report, as always good reading. However, wanted to let you know that BBX has for the past 7 years offered fuel on full trade to select members. BBX has currently over 100 Volume Plus petrol stations offering members petrol, diesel and other fuels on full trade. I just wanted to set the record straight. Editor?s note: BBX Holdings Ltd. was founded in 1993, serving more than 4,500 customers representing 8,000 cardholders in Australia and New Zealand. BBX is the first and only publicly listed barter company on the Australian Stock Exchange. Starbucks is going Hollywood and a barter deal promises to take their coffee to another level. Teaming with film studio Lions Gate, Starbucks will get product placement in an upcoming movie as well as an ownership position in the film. Although Starbucks won?t be making any financial investment, they?ve agreed to barter their distribution clout by offering the film DVDs at the thousands of Starbuck locations across the country. Following up on our article regarding Google?s push to become a one-stop media ad-buying platform (January 31 issue): The FTC has OK?d Google?s purchase of dMarc Broadcasting, which through their SmartBarter technology moves unsold radio station inventory after the logs are closed each day. Arbitron-rated stations can barter their unsold advertising time to painlessly acquire new equipment for the station from dMarc. Through the SmartBarter program dMarc determines, based on the stations ratings, the number of daily spots needed to cover the purchase of equipment over a three-year period. DMarc also provides stations with a buyout option so they can declare the equipment as an asset and depreciate it. It was fifteen years ago this month that Wayne Sharpe, Andrew Federowsky, and Brian Hall came together and formed Bartercard in Queensland, Australia. What a remarkable journey it?s been as they?ve ambitiously expanded around the globe signing up client after client. Today the 70,000 cardholders are reportedly trading products and services worth AUD$1.2 billion annually. Bartercard has built an international infrastructure which promises to pay large dividends for the company as the global business community increasingly continues its barter interactions. Bartercard recently became a publicly-traded company on the London Stock Exchange (BRTN LN). Bartercard has just finalized the sale of a license for Turkey, see below. 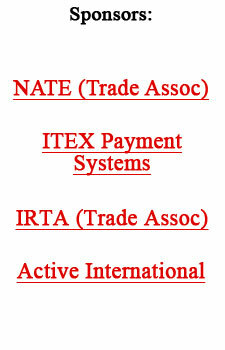 Thanks to David Powers of VIP Barter for providing the following list of the top ten trade exchanges within NATE using the Banc trade currency for their reciprocal trading in 2005. Banc member North Louisiana Trade Exchange has some offerings (builder?s residential lots, medical supplies, mini-chopper motorcycle, etc.) listed in The Barter MarketPlace, go to: http://www.barternews.com/marketplace/north_louisiana_trade_xchange.htm. There are many forms of secondary capital?which can be defined as any financial instrument that measures and communicates value in a common language. Would you like to see and learn more about the many forms of secondary capital? We have 70 free, informative and inspiring, articles for you in our ?Secondary Capital Section.? Check it out... www.barternews.com/secondary_capital.htm. The company now reports 9,200 members in 32 markets, and management believes that it will have more than 11,000 members by the end of the year 2006. Don Mardak, President and CEO of IMS, commented, ?2006 looks to be yet another blockbuster year for the company. Our stock price continues to lag our core business fundamentals, and this is why I continue to buy back shares in the open market.? Would You Like To Make 2006 Your Greatest Year Ever? The sale of the license for Bartercard in Turkey, which sold for US$600,000, has been completed and the final payment collected for it. The majority shareholder of the new license is Mr. Mose Elis, who will take on the role of CEO. He is founder and owner of Endotec, one of Turkey?s major medical supply companies, which he?ll be leaving to focus his efforts on this new project. Training for the foundation management team is now taking place in Australia, with beginning operations in Turkey targeted for early April. Bartercard International Chairman Wayne Sharpe was enthusiastic. ?This is an exciting expansion in the region, and the team behind this license consists of talented individuals,? he noted. ?With licenses already operating in nearly Jordan, Lebanon, Egypt, Cyprus, Qatar, Kuwait and the UAE, the region is poised for continued development and expansion.? Kyle MacDonald, a 26-year-old from Belcarra, British Columbia, shows the power of one?s ingenuity. His recent bartering success also reinforces the allure of barter and its inherent leveraging possibilities. MacDonald, remembering the childhood game ?Bigger & Better,? started out with a single red paperclip?offering to barter it on his blog site. He said the first barter offer came in a couple of hours later. MacDonald, staying true to the principles of the game, only makes an exchange in person. Trades have taken him as far as California and New York. Although his first trade occurred in Vancouver where he traded his red paperclip for a pen, there were many more in his series of trades including: swapping the pen into a door knob and the door knob into a barbecue stove. A series of further trades later?a generator, a keg of beer, a snowmobile, and a 3-day trip to the Rockies. He?s currently the owner of a Ford box van. By starting with the van, his ultimate goal is to obtain a house or an island. For more on MacDonald?s bartering exploits see: www.oneredpaperclip.com. To date, satellite radio stations have had one main rival: traditional radio. Now, just five years after their debut and still fighting to become profitable, XM Satellite Radio and Sirius will be competing with far more than just themselves. Wireless broadcasting networks, as well as services that let you listen to radio on your PC or download radio wirelessly, are rushing into the market. The big wild card is Apple Computer, maker of the popular iPod digital music player. Traditional radio stations, catering to some 219 million listeners in the U.S., are responding to satellite radio with a major push into high definition (HD). The technology lets broadcasters stream more channels with a better sound quality. In December, the nation?s largest broadcasters formed the HD Digital Radio Alliance to promote high definition. The Alliance?s eleven members have committed more than $200 million worth of airtime in 2006 to tell listeners how HD works, which radios to buy, and where to get them. The U.S. has more than 650 HD radio stations today, up form 200 a year ago, and their numbers should reach 1,200 by the end of 2006. More competition will be forthcoming. Motorola, the world?s second-largest cell-phone maker, plans to start offering a radio service, iRadio, in March. Expected to cost between $7 and $10 a month, iRadio allows owners of cell phones with various technical capabilities to record hours of radio programming from 435 commercial-free channels. Users can download programs from six of the channels by connecting their cell phones to their computer?s USB ports. Who hasn?t, at one time or another, dreamed of owning a bed-and-breakfast inn? It?s the perfect fantasy of leaving the hectic life behind and being your own boss in an idyllic setting. But like everything else, what you think the life of a b&b owner might be, and what it truly entails, can be quite different. So before taking the big leap into a business you know little about, why not take the smarter road and find out what a b&b innkeeper actually does? If you don?t have any experience in the field, you will probably need to take a course to learn the basics. Courses are available through Interim Innkeepers Network, www.interiminnkeepers.net. Then go out and strike an agreement to work with a b&b owner, taking back as payment some inn script for your future use or as a trading vehicle to acquire other needed products/services. As an experienced interim innkeeper you can earn $100 to $300 a day, depending on the size of the facility and whether there?s staff to do the housework.